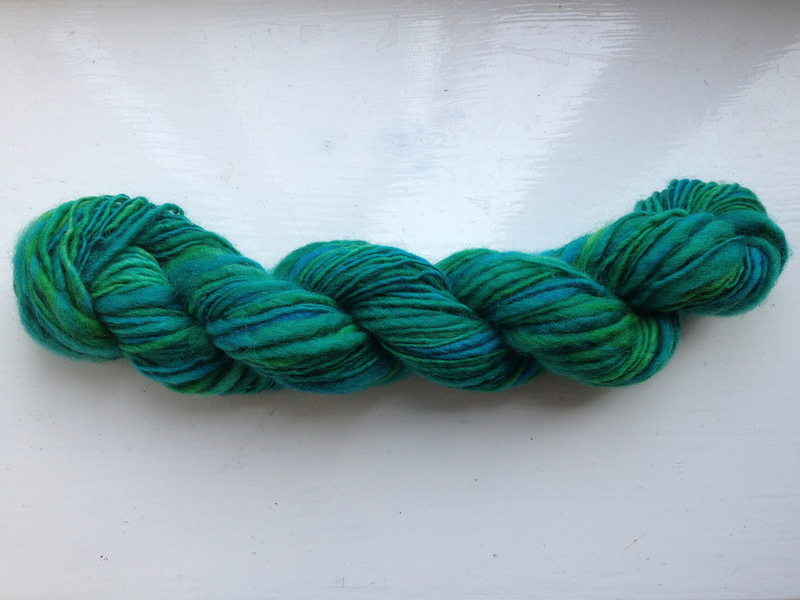 In the rare stolen moments of freedom I’ve had these past few months, I’ve found great enjoyment in yarn spinning; taking fluffy stuff and turning it into usable, knittable yarn. Over the past 9 months, I discovered the art of spinning. 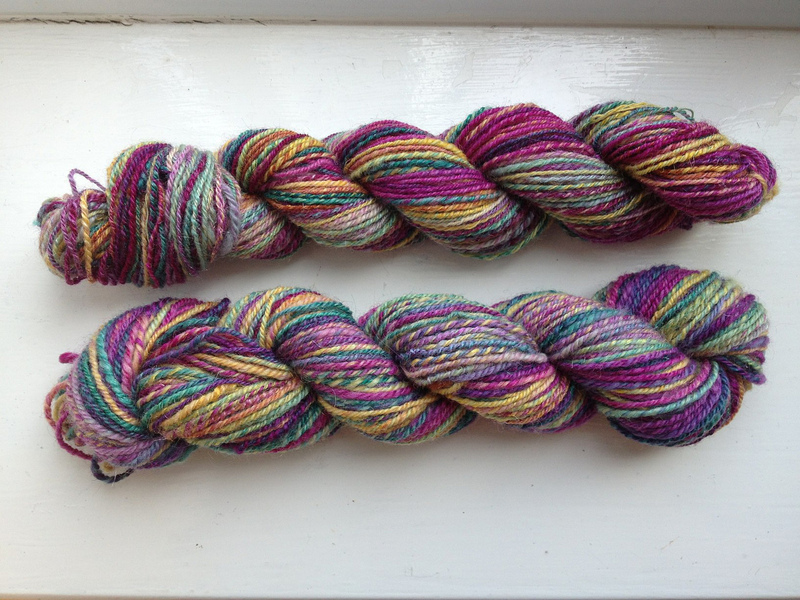 In July, I ordered a spindle kit from Hilltop Cloud on Etsy. 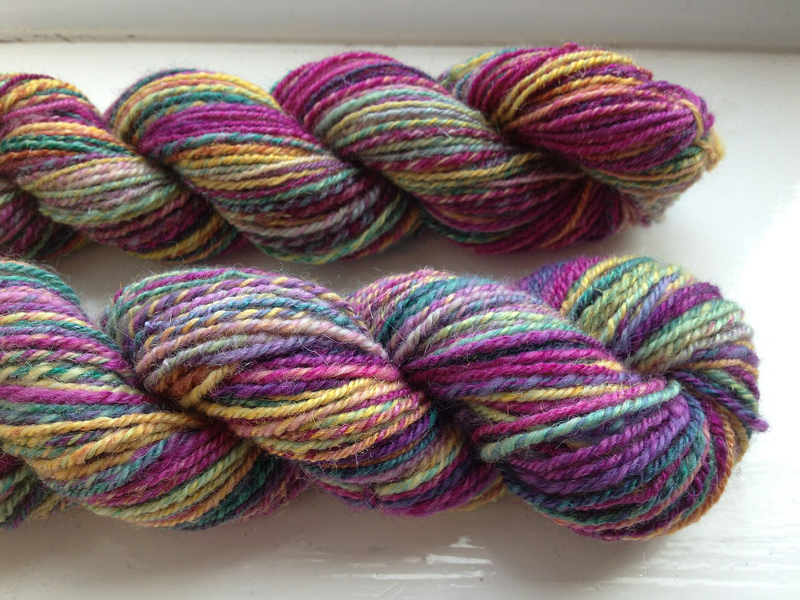 It looked something like this, but with fibre in blue & white combinations. 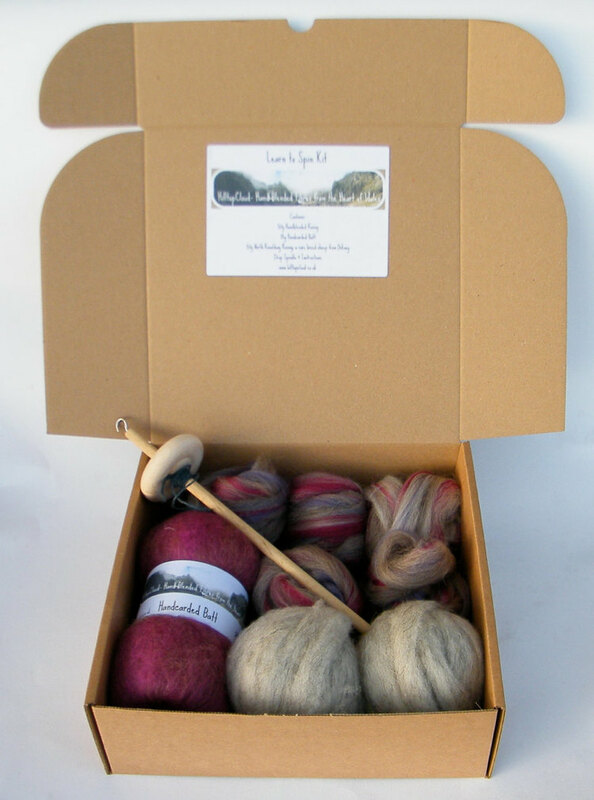 In fact, I highly recommend this kit if you’re just curious about spinning but don’t want to spend a lot to get started. 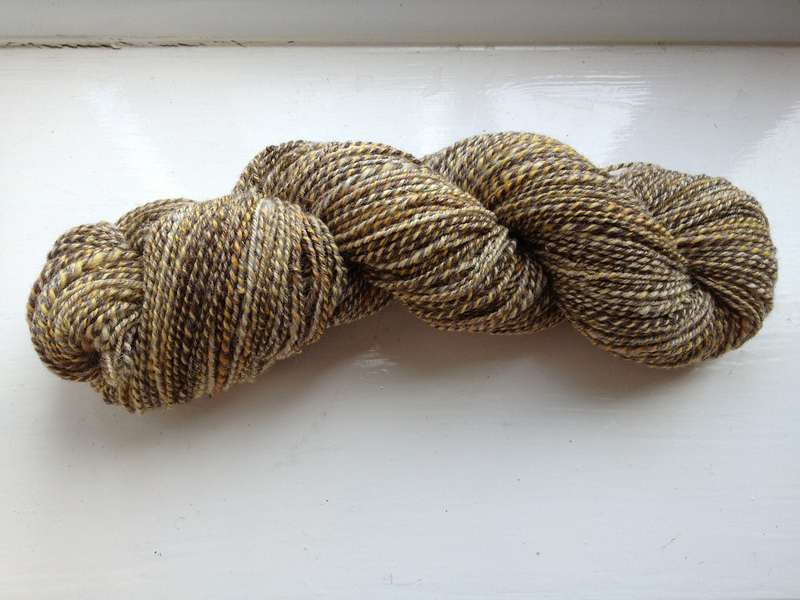 The spindle is accompanied by three different fibre preparations to give you a chance to get your head around the basics, and Katie provides some instructions on drafting and spinning. Having said that, I really “got” it through watching YouTube videos and practice, practice, practice! I took the kit to our Fairford Airshow week away, which is a lovely opportunity to spend a week watching planes go by and not do a whole lot else. It gave me time to learn to “park and draft” (where you stop, draft the fibre to the thickness you want, then pick up your spindle and spin until it holds together) then progress to drafting without stopping. 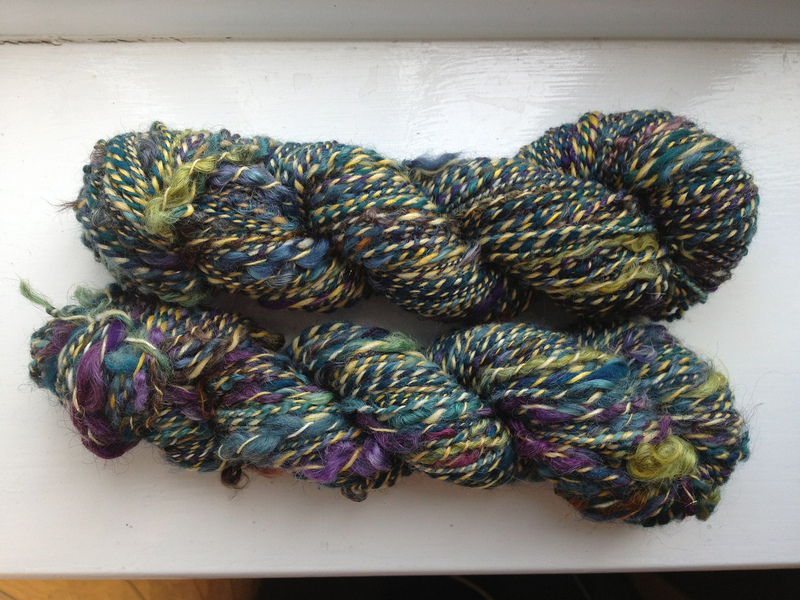 Eventually, I realised that I fancied giving wheel spinning a go and purchased a wheel… which quickly became two. But that’s a story for later where I’ll introduce my two wheels. You’ll have worked out by now that I’ve fallen in love with this meditative and calming, yet creative and colourful art. 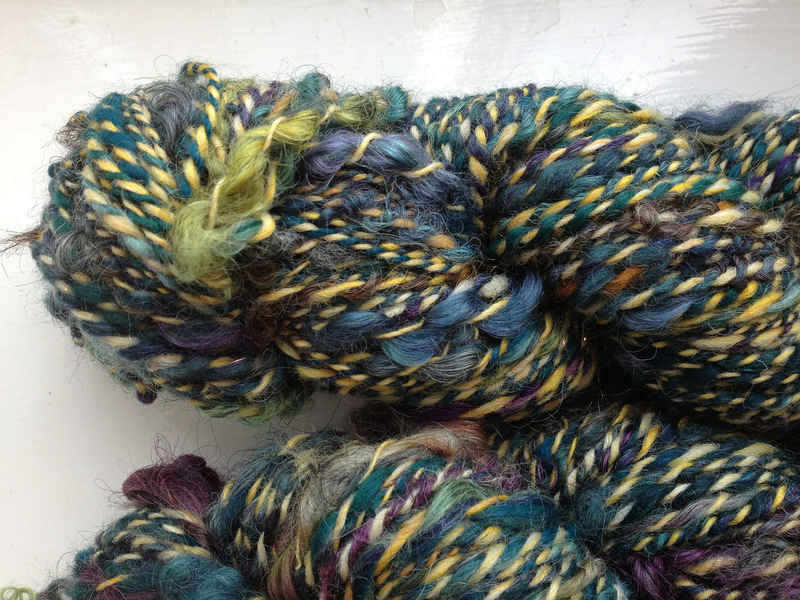 Each picture contains details of what fibres I used, but generally speaking, these are fairly standard fibres; British Bluefaced Leicester wool, merino wool, Wensleydale curls (dyed in wonderful colours) and a bit of a quirky mix of merino, soya fibre and sparkles. Today, I also worked on some black alpaca with silk noils, which was fantastic fun and so much easier than I’d expected. 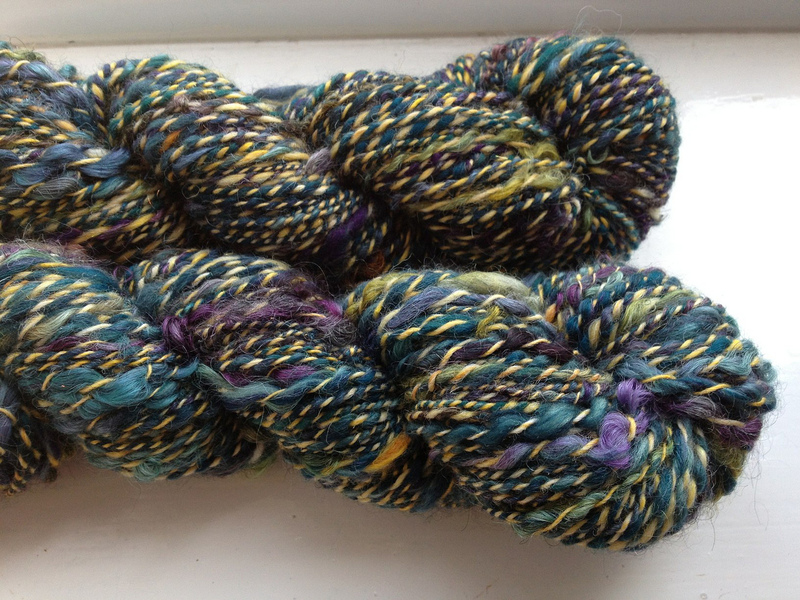 Once the few mini-skeins dry out, I’ll be sharing pictures. 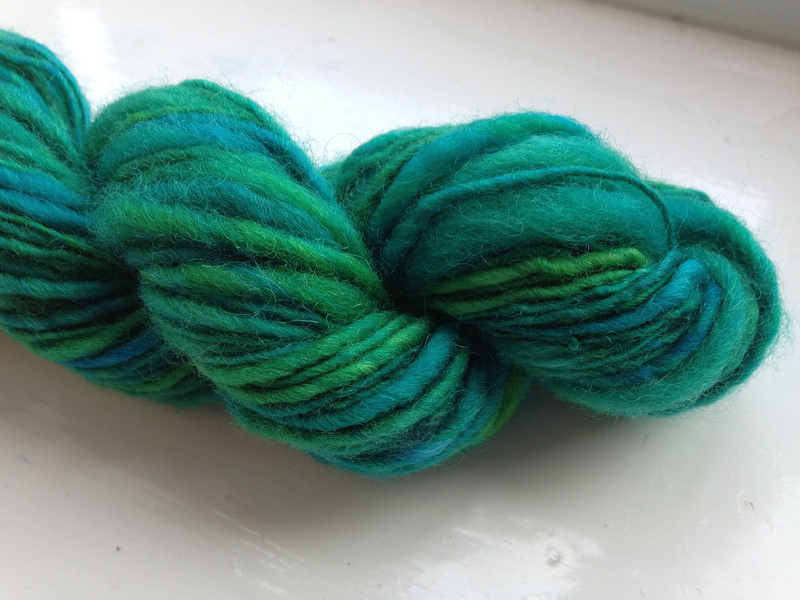 For fun, next time, I’ll try to document in more details the numerous kinds of fibres I’ve acquired and whether I’ve enjoyed spinning them. 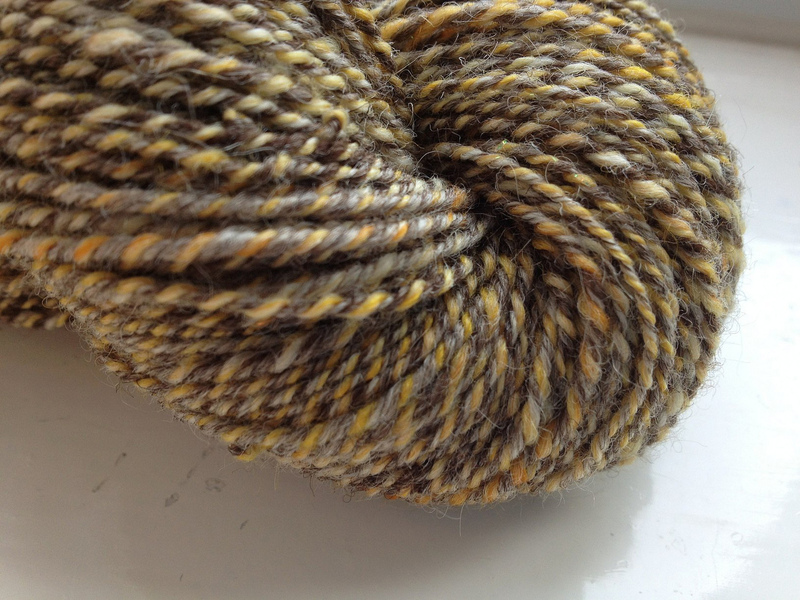 I’ll also let you in on a secret about the single fibre type I’ve been too much of a wuss to dare spin because it’s so wonderful that I don’t think I can do it justice yet!